Pablo Cerdeira currently leads PENSA, the big data team for the city of Rio de Janeiro, where he is also the Chief Data Officer. 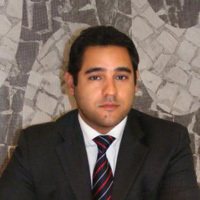 He is an attorney, holding a degree from the oldest and most traditional Brazilian Law School, Largo de São Francisco - University of São Paulo (Universidade de São Paulo - USP). He is also a specialist in computer engineering and M.S. candidate in Electrical Engineering at University of São Paulo. Pablo Cerdeira is professor of Law and Technology at Getulio Vargas Foundation, the number one Brazilian think tank institution. He has been working with a lot of important projects in Brazil in the last 10 years, mostly linked with the designing and development of new institutions, like the Getulio Vargas Foundation Law School, the National Council of Justice, the Consumer Defense in Rio de Janeiro and the PENSA Team. As a professor of Law and Technology at Getulio Vargas Foundation, Professor Cerdeira was the founder of some relevant project, as the Collaborative Workbook for professors and students at Law School - a Collaborative tool to be used in classes and the author and founder of Supreme Court in Numbers. As the leader of Supreme Court in Numbers at Getulio Vargas Foundation, professor Cerdeira developed all the robots and crawlers to capture and rebuild the entire Supreme Court Database, with more than 1.2 million legal cases. This project is still one of the most relevant legal data driven projects in Brazil. At the National Council of Justice, Professor Cerdeira was the Chief of Staff of Justice Joaquim Falcão during the first two terms, working at the Judiciary Reform in Brazil, in projects like the the Justice In Numbers, judging leading cases regarding very sensitive matters as nepotism, salary limitations and regulation among many others. Professor Cerdeira, as the Chief Data Officer at City Hall of Rio de Janeiro is now developing projects on how to use data to improve the democracy representativeness in project facing challenges as how to fight the spread of dengue disease, hot to plan the Olympic Games considering the urban flow, how to improve the public services quality on garbage removal, public lighting, infant mortality etc.